Is it safe to use my debit/credit card or provide bank details? Yes, it is completely safe. You can use your debit/credit card or bank transfer. When you pay online, our website jump on bank’s computer, and bank check your card details and take payment. Bank’s computer is world’s most safe computers. So your card is very safe, nobody can hack your card details. How is secure my financial information? Our website does not store any customer debit/credit card or financial information. All transactions are processed through secure bank servers & bank server keeps highest level of security while processing your payments. Is COD available for my location? We have tie-up with Blue Dart Courier company and FedEx Courier Company for COD service. They have strong network for all our India. Yes we are sending our products to worldwide, without charging extra amount. For international shipping, minimum purchased item amount should be 15 thousand Indian Rupees. 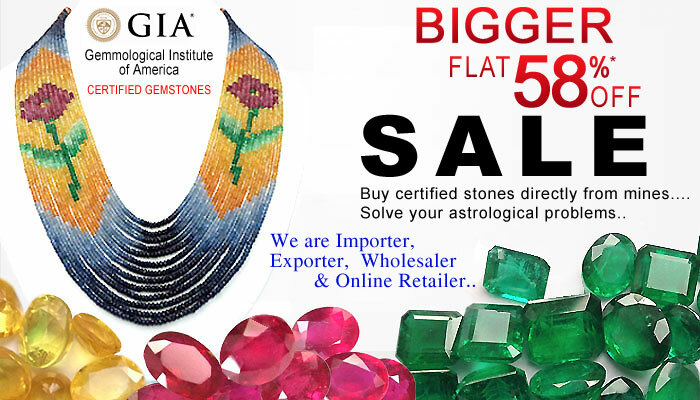 We shipped loose gemstones in same day, and gold jewelley in 3-7 days. Returns are subject to terms and conditions of products bought. To initiate a return, please get in touch with our customer service team. What are the payment options available on jewelleryshopindia.com ? We accept all debit/credit card issued by Visa, Master & Amex cards and 64+ Indian online bank. Yes, International Credit and Debit cards can be used through PayPal. Is it safe to buy gold/silver items on JewelleryShopIndia.com? It is fully safe to buy gold/silver items on jewelleryshopindia.com. All gold jewelry are hallmarked for purity and also have a 365 days buy-back offer. Please check the item description for complete information. Orders once confirmed cannot be cancelled. If, in any unforeseen situation you need to cancel your order / an item, cancellation can be done at a nominal fee to cover a portion of costs that we would have already incurred in processing the order. We charge 5% of the Paid Value for cancellation done before the item/s is shipped and 20% of the paid value when cancelled post shipment. The refund for the balance amount will be reversed and reflect on your credit card / net banking statement within 7 to 10 working days.